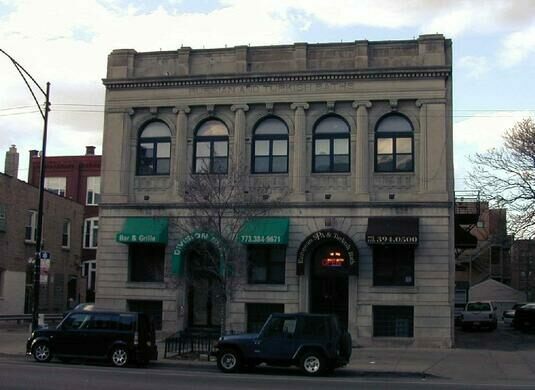 A most unusual remnant of the neighborhood’s Eastern European heritage, this is said to be the last traditional European-style bathhouse in Chicago, and one of a handful remaining anywhere in the United States. It has operated since at least the 1930s; its two entrances (one for men and one for women) lead to such traditional pleasures as the Russian banya, or “hot room,” where granite boulders are heated on gas flames, then doused with water, to produce an exquisite steam, or shvitz. Rubdowns by attendants wielding traditional birch branches are also available. Writer Nelson Algren was a known patrons, as were Chicago’s traditional power brokers, from feared mobster Sam Giancana—who bragged in the late 1950s that he had the police in Chicago “locked up tight”—to, more recently, the Reverend Jesse Jackson. Update: The Division Street Russian and Turkish Baths closed in 2010. The space reopened in 2011 as Red Square.